"To be a key stabilizing and re-vitalizing tool in the Nigerian economy." 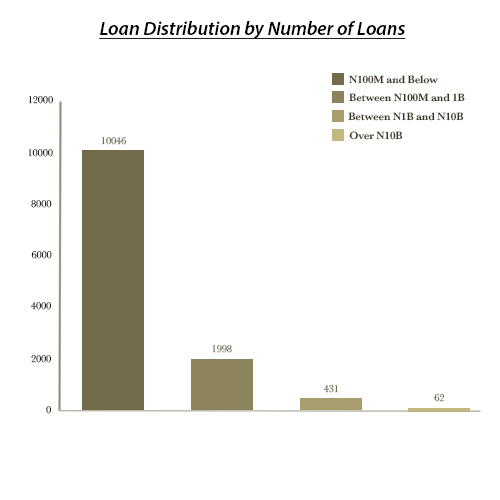 The Loan Management Team classifies loans based on their size; Small (N100m and below), Medium (Between N100m and N1b), Large (Between N1b and N10b and Strategic (Over N10b). 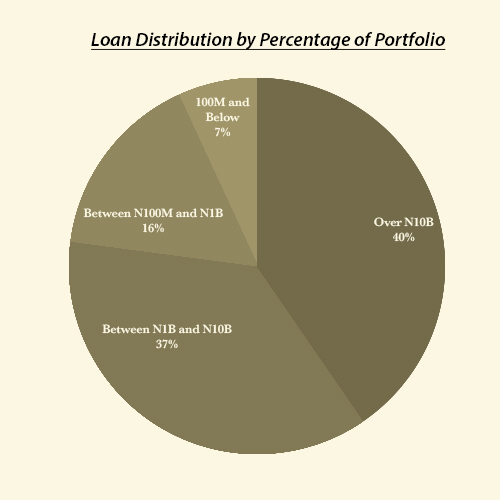 The Loan distribution Table shows that Strategic Loans make up the greatest percentage (40%) of AMCON's portfolio. 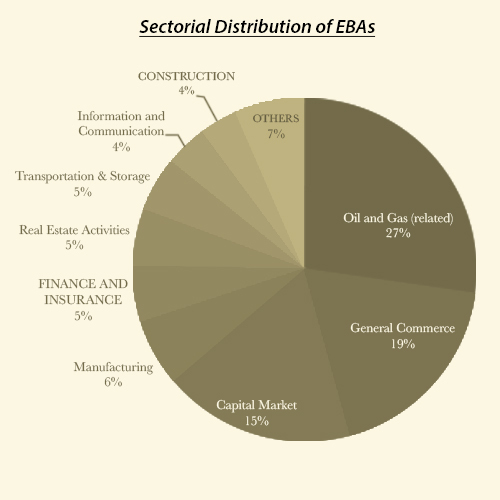 Table 2 shows a breakdown of the top five sectors in which the EBAs originate from. They represent 75.35% off all EBAs purchased. The table below represents AMCON's Asset Classification of the underlying assets used to secure loans bought from EFIs.